Established in 1910, Incorporated in 2000, Step Up For Students (SUFS) was created to help alleviate the educational challenges faced by children in Florida, who live in or near poverty. The mission of SUFS is to improve K-12 education in Florida through parental choice programs, which will prove to be an advantage for children from low-income and working class families. The scholarship fund was initially created by John Kirtley, along with the help of Children's Scholarship Fund, who recognized the lack of educational options available for low-income children, and decided to take action. applications for 750 scholarships. In 2001, he persuaded the Florida Legislature to create a state wide tax credit scholarship to serve more. Lawmakers responded by creating the Tax Credit Scholarship Program, also known as Step Up For Students -- for low-income students in grades K-12. In the first year, the scholarship limit was set at $3,500 and the program limit at $50 million. In 2009, the program was expanded to include tax credits for insurance premium tax liability and renamed the Florida Tax Credit (FTC) Scholarship Program. John Kirtley is now chairman of SUFS, which provides tax credit scholarships to 33,000 low-income students. He has also established himself as a national figure in the arena of parental choice -- currently serving as vice chairman of the Alliance for School Choice and the American Federation for Children. He has built innumerable partnerships with the public education system and was recently appointed to the Hillsborough Education Foundation, which supports the nation’s eighth-largest school district. poverty. Two-thirds of the children are either African American or Hispanic, and nearly 55% live in single-parent households. Under the FTC program, corporations that owe Florida corporate income tax and insurance premium tax can redirect a portion of their tax obligation to non-profit organizations that award K-12 scholarships to students qualifying for the federal government's free or reduced lunch program. The corporation, in turn, receives a 100% tax credit for every dollar it donates. Participating corporations redirect funds they must already pay to the state, enabling them to help low-income children achieve greater educational excellence at no cost to the corporation. As a result, the program is paving the way for an educated workforce that will greatly contribute to the betterment of our communities. In the last decade, participation has increased at a rate of 22% each year. More than 60,000 students state wide have received scholarships for FY2013-14 school year, up from 51,000 last year and 21,500 six years ago. At the conclusion of the 2012-13 school year, 51,075 low-income students were receiving scholarships to attend 1,338 different private schools through the SUFS scholarship organization. For the 2012-13 and 2011-12 school years, qualified students received maximum scholarships of $4,335 and $4,011, respectively. School Development and School Learning: The program aims to work with schools, parents, teachers and administrators to improve the quality of student learning and the student learning experience. Communications, Policy and Public Affairs: This program takes the message of school choice to constituency groups, community and political leaders and local, state and national news publications. It publishes a newsletter with a circulation of ~ 37,000 four times a year, creates monthly student spotlights, issues press releases on topics of special concern and writes commentary for various publications. Advocacy and outreach: This program began in 2003 as an effort to serve non-public schools, educators, parents and the community by promoting and defending educational choices for families in Florida. SUFS earned a four-star rating for sound fiscal management practices and commitment to accountability and transparency from Charity Navigator, (the nation’s largest independent charity watchdog) in 2013. Only 18% of the charities rated received the highest four-star evaluation two years in a row from Charity Navigator. SUFS has earned the highest possible evaluation seven times overall. Since its inception, SUFS has awarded about 330,000 scholarships to low-income children. 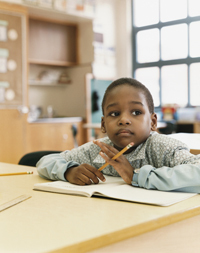 For the 2013-14 school year, 60,000 students are expected to attend a private school of their choice using the Step Up scholarship worth up to $4,880 per child. For the 2012-13 school year, more than 40% of Step Up applicants used an enhancement, allowing required documents to be uploaded to their applications on the website, which significantly reduced processing time. Partnerships with state agencies that serve low-income families gave SUFS the ability to electronically verify household income for 11,132 families, speeding up the scholarship processing time for those applicants. family-school partnership for the well-being of the child. Schools that closely work with parents often have high student achievement and quality programs. Ten schools in Hillsborough County piloted this program during the 2011-12 school year; 17 more schools came on-board for the 2012-13 school year, and more than 120 are expected to participate throughout the state in the 2013-14 school year. Total tax-credit redirections and other revenues grew to $313 million in the year ending June 30, 2013. Despite this growth, qualified low-income children remained on the waiting list for scholarships. For the fiscal year 2012-13, less than 2% of revenues were spent on administration and fundraising activities (total). Balances were directed to scholarships and other program-related expenses. These ratios reflect SUFS priorities and are significant factors underlying the trust they have developed with donors, schools, and parents. This has allowed SUFS to grow as they have for the last several years.so effectively. The SUFS scholarship has been enabled through a state legislative act, first adopted in 2001 and known as the Florida Tax Credit Scholarship. Under the program, companies have contributed more than $1 billion to date, providing more than 331,000 scholarships. Families across Florida are increasingly using the scholarship program in one of the 1,500 participating schools. 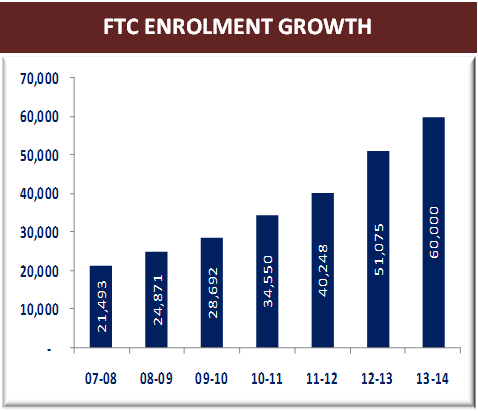 In the past 12 years, the annual enrollment has grown from ~ 10,000 to ~ 60,000 for the 2013-14 school year. This is expected to jump to more than 100,000 by the 2017-2018 school year. The program is capped at $286 million for this school year -- granting each student a scholarship of nearly $4,900. The program also helps taxpayers. According to the state’s Official Revenue Estimating Conference, the voucher system saved the state nearly $58 million between 2012 and 2013, and nearly $200 million during the past four years. A maximum scholarship in the 2012-2013 school year represented 68% of the state’s average cost per public student. SUFS would not exist without the generous giving of their donors nationwide. Ever since the Florida Tax Credit Scholarship Program was created in 2001, corporations have redirected more than $1.4 billion of their Florida Tax Liabilities to SUFS. As a mechanism to keep up with the growing scholarship demand, the program funding cap on tax credit contributions continues to rise each year due to a 25% automatic increase if 90% of the cap is met in the previous year. In 2002, the Florida Tax Credit Scholarship Program’s cap was $50 million; by 2013, it had grown to more than $286 million. This will fund about 60,000 scholarships for the 2013-14 school year. The program has garnered such strong support that funds were pledged by corporations in just six months -- a program fund raising record. Thanks to the automatic 25% increase, the 2014-15 funding cap is more than $357 million, ensuring that Step Up can continue to provide these educational opportunities for more low-income children in Florida. The organization has strong partnerships with many individuals, organizations, and foundations that help provide the administrative funds necessary to equip thousands of children with the educational tools for a promising future.